Sabine Cotte Paintings Conservation offers a full range of museum quality professional services to institutions, art dealers and private collectors. The high standard of conservation work is supported by twenty years of experience in France, Australia and the Himalayas for public institutions, private collectors and international organisations: UNESCO, Musée du Louvre, Musée d’Art Moderne, National Gallery of Victoria, Ballarat and Geelong Fine Arts Galleries are some of the regular clients. 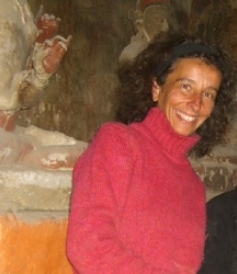 Sabine Cotte is born and trained in France, and holds degrees in conservation from French Institute of Conservation of Artworks (IFROA), International Centre for Conservation in Rome (ICCROM), and University of Melbourne. She is an International Expert for UNESCO in conservation of Himalayan paintings.